#24HrDub Actor Amy O'Dwyer has delivered puppies and not in the "it's in the post" sense. Amy O’Dwyer is an Irish actress and singer. You may know her from her dramatic exit from RTE’s Fair City where she played Hannah Mark until early 2018. (Killed off by #24HrDub alumnus Marcus Lamb, the rogue!) 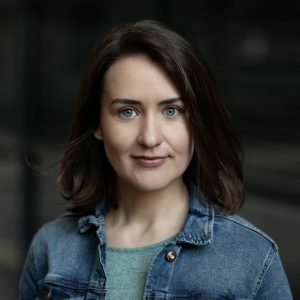 Amy has appeared in many theatre productions both in Ireland and the UK – you can find out more about previous and upcoming productions on her own website. She graduated with a distinction from the London School of Musical Theatre and studied a BA in Drama and Theatre at Trinity College Dublin. When not acting, she works in radio as a news reader and presenter. Amy also dabbles in production most recently working on the podcast ALL ABOUT DIS’. She is represented by Frontline Actors Agency. Introduce yourself please. If you are feeling nostalgic you can even describe yourself as your favourite teacher might if asked today what you were like in school. Nature addict, animal lover, avid recycler, singer of songs, radio broadcaster, keen adventurer and lover of the arts. If you took a notion to write a play what element would you definitely include and why? Water! I love seeing water on stage. I just think it’s mesmerising when it rains on set. I also saw an amazing Dutch show called ‘Soldier of Orange’ that was set in an old airplane hangar. They recreated a beach and artificial sea which the cast swam in. Incredible. Dublin Youth Theatre is finally moving house. If you were moving and were only allowed bring one piece of clothing and one book with you, what would they be? It was tough call on the clothes front as I am attached to my black dungarees, how and ever, I’d take my white sweatshirt that says ‘Being Kind is Cool’ on the back. It’s super cosy and carries an important message. Book wise I’m currently mid Chris Hadfield’s ‘An Astronaut’s Guide To life on Earth’ so would take that with me so I can finish it. Also he has some pretty impressive insights to share. Have you worked with children or animals? How did that work out for ya? I did work experience in a vets and saw my share of puppy births, cat fights, and exploding boils. A roller coaster. 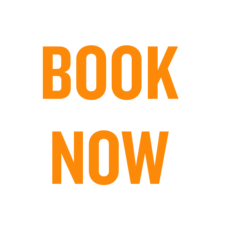 If you would like to see what (animals) we throw at Amy on The Abbey Theatre Stage on Sunday 3rd February 2019 at 7pm book your tickets post haste. Check out Amy in the video below with two #24HrDub alumni, Sorcha Fox and Daithí Mac Suibhne. RTE Fair City from Amy O’Dwyer on Vimeo.